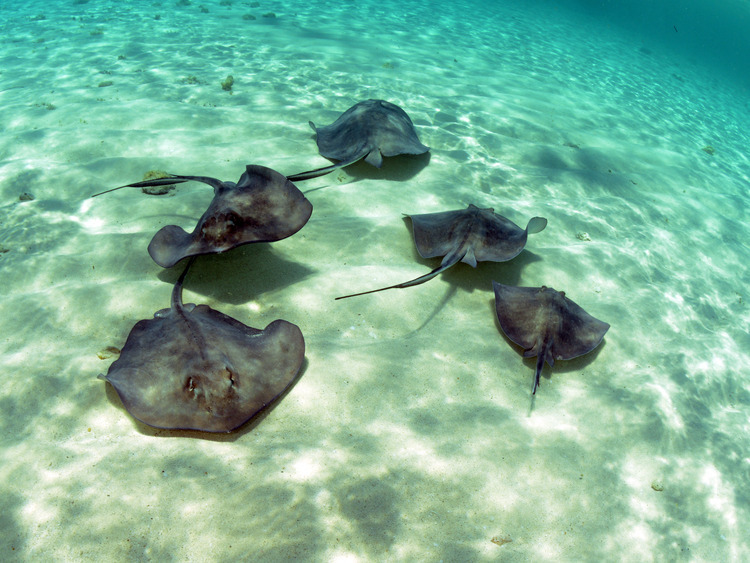 A thrilling tour of the private Balmoral Island offering relaxation on the beach or by the pool, sports activities and above all else, the chance to see the rays up-close in their natural habitat and interact with them. Once we arrive on*Balmoral Island, a genuine tropical paradise just over a kilometre from the coast and far from the confusion of the centre of Nassau, we will be welcomed by the staff and divided into small groups for the *ray encounter**. The rays on the south may grow up to a metre in diameter and Balmoral Island is the only place in Nassau where it is possible to interact with these animals. After signing a release form, the guide will provide some information on the rays and on how to approach them. Lasting about 30 minutes, our instructor will "present" us with the rays allowing us to cuddle, feed and support them for a photo, which we can then buy at the end of the tour. We can spend the rest of the day relaxing on the beach sunbathing on our sun loungers or diving into the blue waters. Providing an alternative to the beach, we can dive into the nearby swimming pool. There are four bars on the island, each with its own style, amongst which a bar serving iced tropical drinks which include margaritas, daiquiris and piña coladas. Children under the age of 18 must be accompanied by a paying adult, whom will be asked to fill in and sign a release form. You cannot bring food and alcoholic drinks on the island. All types of food and alcoholic drinks will be confiscated. You cannot take photos in the marine natural park. During the sting ray encounter, you cannot enter the water wearing jewellery or hanging items. Small lockers are available to guests during the sting ray encounter only. Toilets, showers with clean water and fountains to rinse your sandy feet are available at various areas on the island. Limited number of huts available to rent . A limited number of parasols are available on the beach, however there are plenty of shady areas under the pergolas or in the bars. The distance from the ship to the minibus car park is approximately a 10-15 minute journey on foot.